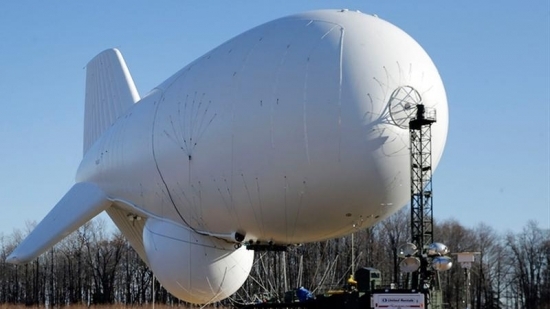 An unmanned Army surveillance blimp broke free from its tether at a military base in Maryland this afternoon and was floating aimlessly north over Pennsylvania this afternoon causing power outages as it's cable dragged over power lines. The Joint Land Attack Cruise Missile Defense Elevated Netted Sensor System (JLENS) broke free from it's tether in Aberdeen, MD around 12:20pm. NORAD tracked the blimp as it drifted north. Two F-16's were also scrambled from Atlantic City Air National Guard Base in New Jersey. It was moving over areas west and north of Philadelphia, dragging it's cable in the process and snapped power lines along the way. Up to 30,000 were without power. The 243 feet long dirigible eventually came down in Moreland Township, PA around 4:25 pm. John McNesby, president of Philadelphia Fraternal Order of Police Lodge 5, has called on the members of the FOP to boycott the works of writer/director Quentin Tarantino. This follows similar boycotts from Los Angeles and New York police unions. The board of directors of the FOP met on Tuesday and voted unanimously. McNesby said, "Mr. Tarantino has made a good living through his films, projecting into society at large violence and respect for criminals; he, it turns out, also hates cops." The boycott calls come after the director spoke at a rally against police brutality last week in NYC. Rain continuing, chance of thunder, temperatures in the upper 60's this evening in Center City.